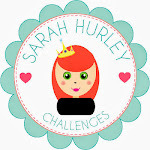 It is Nicole here today to share a fun project for Valentines day, using the super cute Sarah Hurley Be Mine digi kit. 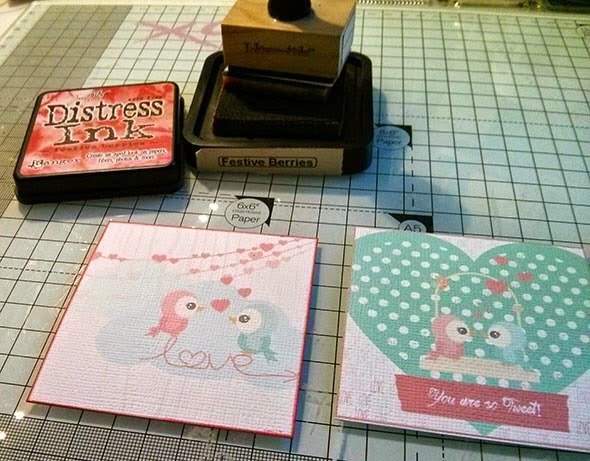 I created two 3x3 card layouts digitally on the computer and printed them out on some nice textured card stock. 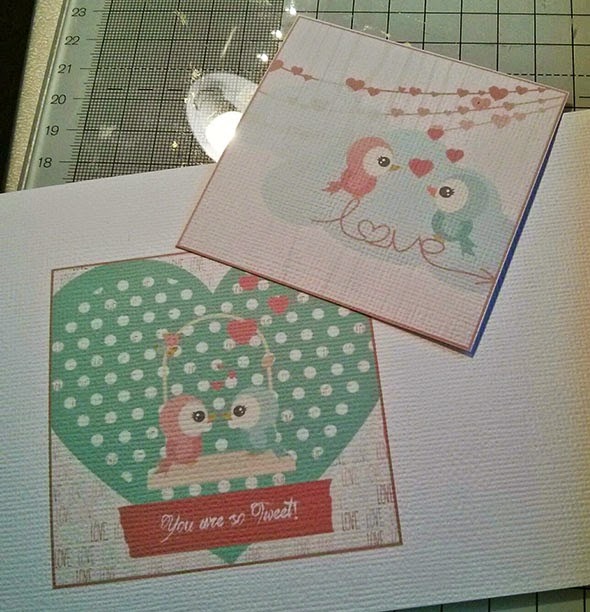 I then cut these out. 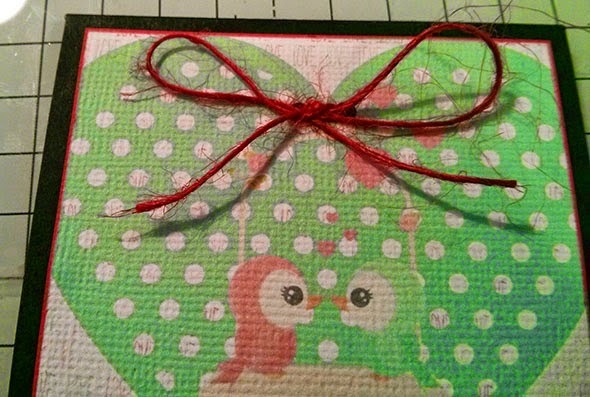 I inked the edges of the card fronts with festive berries ink to give them a nice finished look. 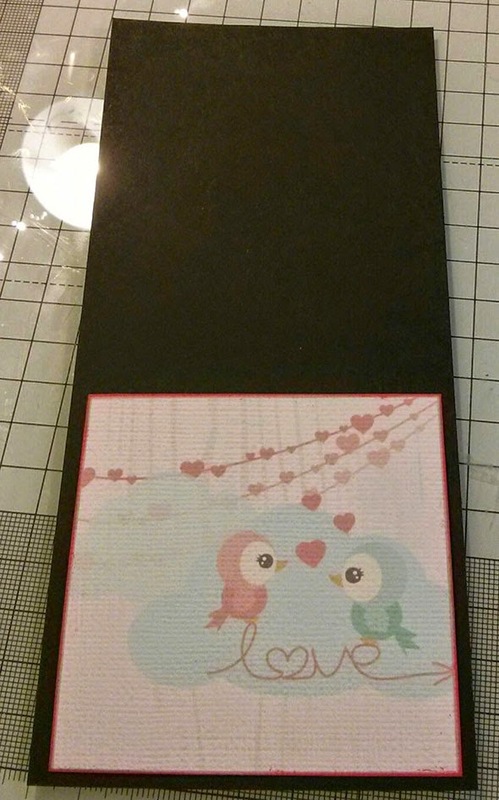 This helped them stand out on the card base. I made card bases from black card stock for the cards, leaving a nice 3mm frame around the edge of the card front to frame them nicely. 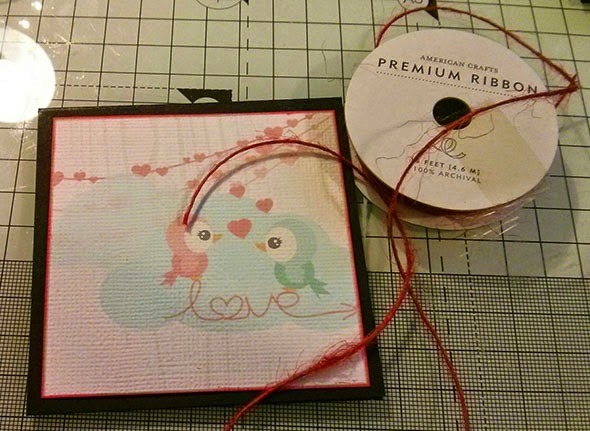 I took some red twine and tied it around the first card around the bottom of the card a few times. 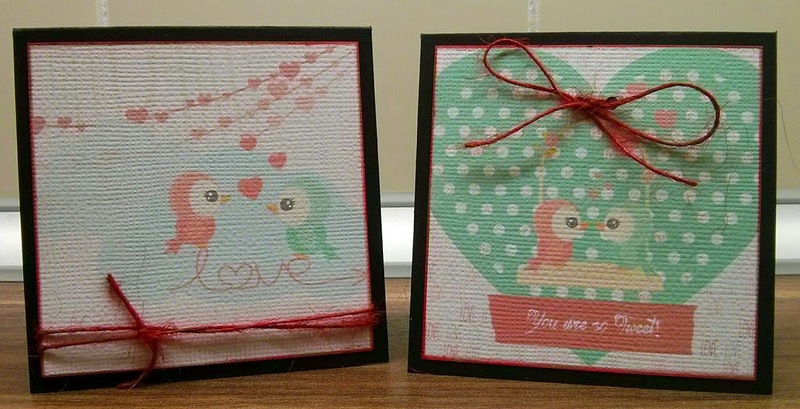 I added some wink of stella glitter shimmer to the birds and hearts on the cards too. 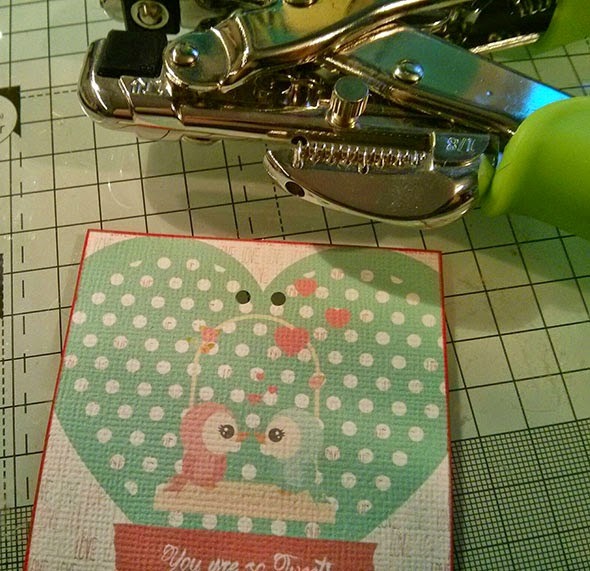 On the second card I used my hole punch to add two holes in the top of the heart so that I could thread the twine through into a bow. 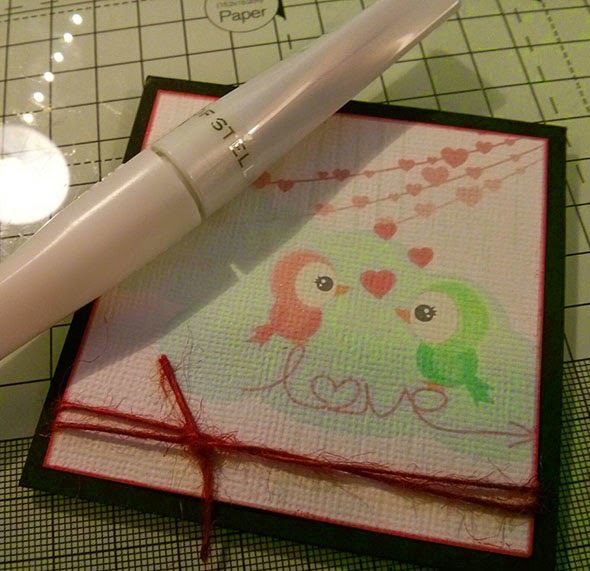 This is a lovely quick way to make some mini cards to send to those loved ones. They are perfect for in lunch boxes or slipping into school bags too.